English Championship Promotion Race, Which Teams Will Make The Cut? The English Championship promotion race is hot up and will definitely go down to the wire. Though, the 2 automatic promotion spot is being occupied by Norwich City and Leeds United, Sheffield United in 3rd place is still in the running too, as only 2 points separated them from 2nd place Leeds United. The race for promotion through the playoffs is as fierce as the automatic promotion, as much as 11 clubs still have the realistic chance of playing in the playoffs, as only 9 points separated Brentford in 13th position on the log table from Derby County which occupied the last playoff spot in 6th position. Middlesbrough 0-1 Norwich City; Norwich Pulling Away. There seems to be no stopping Norwich City from gaining promotion into the EPL, and they’re not just aiming to gain promotion, they want to do it by winning the Championship. Norwich gradual pull away from the chasing park continues with a disciplined 1 nil win at the Riverside Stadium, Middlesbrough. The Canaries, as Norwich are fondly called started the match slowly, but grew into the match and could have gotten their goal earlier than they did, but Boro goalkeeper, Darren Randolph pulled some decent saves to denied Norwich, until the 2nd half when he was finally beaten by Norwich Cuban striker, Onel Hernandez in the 54th minutes, Boro failed to clear the line properly, and were made to rue their sloppy play at the back. The win means Norwich City had gone 6-championship matches without dropping a point, and are now 5 points clear of 2nd place Leeds United, and 7 points clear of Sheffield United in 3rd place with just 7 matches remaining of the season. It is now 4 successive league defeat for Middlesbrough, whose playoffs’ hope is fading away, and has dropped out of playoffs spot, sits in 8th position with 58 points, a point adrift of Derby County. Leeds United 3-2 Millwall; Leeds Back In 2nd Place. Leeds United completed a fight back when they came from behind twice to win 3-2 against Millwall at Elland Road. Having lost their last home match 0-1 to fellow title chaser, Sheffield United, Leeds needed a response to keep alive their promotion hopes, but it was their visitor who started with a plum. Millwall sits on the 21st position on log table with just 37 points, a point above the relegation zone, fighting to avoid relegation, they took the game to their host by taking a deserved lead in the 10th minute through Ben Thompson close-range header. Leeds was given a lifeline to get back into the gave through a spot-kick, but Patrick Bamford’s weak effort down the middle was kept out by former Leeds goalkeeper, David Martin. Leeds needed a hero to rescue the team from the jaws of another defeat, Pablo Hernandez duly rose up to the occasion with an equalizer before half time, Hernandez got at the end of a quick counter-attack to equalize in the 34th minute. Millwall will not go down without a fight, and so they went ahead again when they converted their own spot-kick through Ben Marshall in the 55th minute, but yet again, Leeds found their equalizer for the 2nd time through Luke Ayling’s 71st-minute header. And just when it looks like the points were going to be shared, Pablo Hernandez came up with the goods, the Spaniard scored an 83rd-minute winner to condemned Millwall to their 4th defeat in 6 matches. Heartbreak for The Lions who are still unsafe from relegation. Leeds has now leapfrog Sheffield United to 2nd place on the log table. Sheffield United 2-3 Bristol City; Sheffield United Lossing Ground On Norwich And Title. The real loser of this weekend proceedings was Sheffield United who lost at home to Bristol City. The Blades were in a good run of form with just 2 points dropped from possible 15, having drawn zero all to Sheffield Wednesday in the Steel City Derby some 3 weeks ago, and were unbeaten in 10 league matches. They started against Bristol City like a house on fire, taking a 6-minutes lead through Billy Sharp header from an inviting free-kick, but City pegged them back on the half-hour mark through Andreas Weimann’s header. The Blades as United are called did not relent and regained their lead in the 2nd half, another header from United’s Scott Hogan in the 71st minute put Sheffield United unto the path of victory, but Bristol City has other ideas, a quickfire 2nd half double from Andreas Weimann, 1st was a near post tap-in, and then a cool lob over United goalkeeper, Dean Henderson, to complete his hat-trick on the evening completed the fight back for Bristol City. Sheffield United are now 3rd on log table, 7 points adrift of log-leaders Norwich and 2 points behind Leeds United, and will be hoping for slip-offs from these 2, to have any chance of overhauling them both with the league gradually coming to end. The playoff for promotion into the EPL is equally keenly contested for, the 4 playoff spots are currently occupied by Sheffield United in 3rd position, West Brom in 4th position, Aston Villa in 5th position and Lastly, Derby County in 6th position. 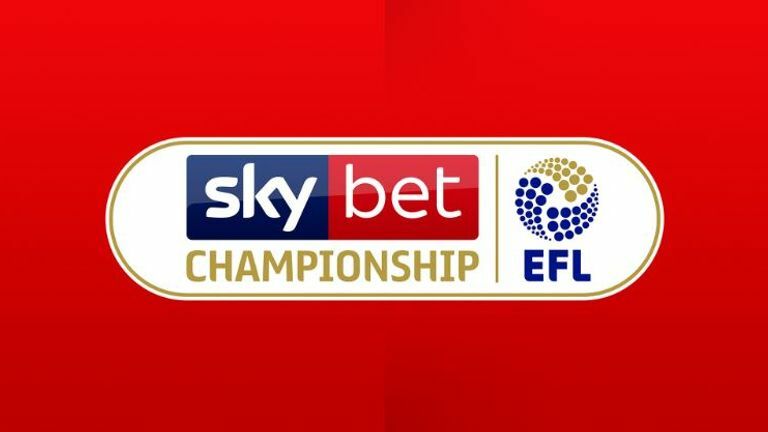 Several other clubs are hot on the heels of these 4 teams, they include Bristol City and Middlesbrough, both of which are just a point adrift of Derby County, the duo of Nottingham Forest and Preston North End are also just 2 points outside the playoffs, Sheffield Wednesday and Hull City are not far away too and should not be ruled out. On a Friday night football, West Bromwich Albion recorded a hard-fought 3-2 win over Birmingham City at The Hawthorns to hold on to 4th position on the league table. Birmingham had twice taken the lead through Gray Gardner (7 min) and Lukas Jutkiewicz’s spot-kick(59 min) but was pegged back by Dwight Gayle(47 min), James Rodriguez contentious spot-kick(65 min) and Jake Livermore(74 min). 3 straight with for The Baggies now. Aston Villa also held unto 5th position on the log too with their 2-1 home win over Blackburn Rovers on Saturday. Chelsea loanee Tammy Abraham continue his fine form with an early 8-minute goal, and then, Tyrone Mings 61-minutes double made the victory sure. Blackburn got a 74th-minute goal through Amarii Bell to ensure a nervy finish for Aston Villa but they held on. Villa has now gone 6 league matches without defeat, winning 5 in succession and drew 1( a 1 all draw at Stoke about 4 weeks ago). Goal feast of the day came at the Pride Park Stadium, when home team, Derby County put 6 past Rotherham. Derby opened the score sheet as early as the 13th minute through Martyn Waghorn’s converted spot-kick, and by the time Rotherham could respond with their lone goal through Richard Wood, Derby had already put 4 past them. Waghorn completed his hat-trick with further goals in 42 and 71 minutes, Bradley Johnson(39 min), Mason Mount(48 min) and Duane Holmes(62 min) also got on the scoresheet for Derby County. A much-needed win for Derby to end a successive home draw to Stoke City and Sheffield Wednesday respectively. Will Norwich hang on to their lead at the top of the table? Or will Marcelo Bielsa’s Leeds pull a comeback to topple Norwich City? Sheffield United aren’t write-off yet either. The turns and thrills of the EFL Championship will definitely go down to the wire. Frank Lampard’s debut season as a manager has been remarkable, will he take Derby County back into the EPL? That will be some A++ on his managerial credential. You can find this blog on my other accounts under the same ID. razeiv are you a Villa fan? or just a likeness for them?